Cloister occupies a central location on campus. There is a patio area on the back side of the building. This is the location of the Storming of the Arch, a student tradition. Cloister floor plans. Please note that floor plans are not to scale. East includes an outdoor pavilion with a grill and air-conditioned suites. Each suite contains 4 double rooms, a bathroom, and a common room. East provides students with an independent atmosphere away from the rest of campus. 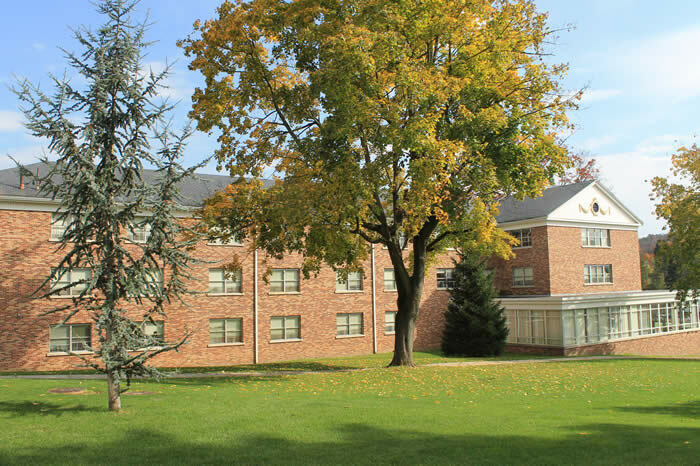 Room: 14' x 11' 8"
Lesher, an all-female residence hall, includes an upper and lower lounge, as well as a kitchen. The residence hall is home to the Early Childhood Education Center. Lesher floor plans. Please note that floor plans are not to scale. Nathan Hall is composed of all single rooms and is air conditioned. The building contains a covered bike rack, a workout room, and a conference room. Nathan floor plans. Please note that floor plans are not to scale. 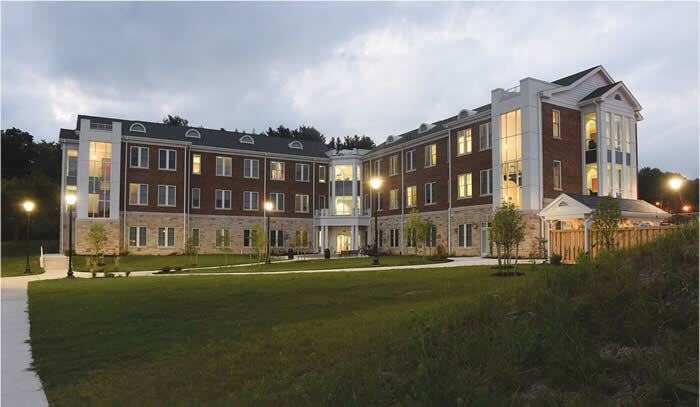 Sherwood, a first year residence hall, includes a brick patio and an enclosed porch. 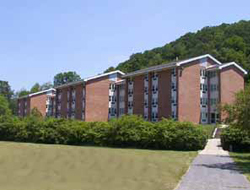 The residence hall is close to the sports fields on Winton Hill. A pavilion donated by the Class of 2012 sits in front of Sherwood and is available for student use. South has a prime location on campus, sitting in between Lesher and Knox Field. South is home to mostly upperclass students. The offices of the Juniata Football team are located here. South floor plans. Please note that floor plans are not to scale. Sunderland, which primarily houses first year students, includes a patio and a kitchen. 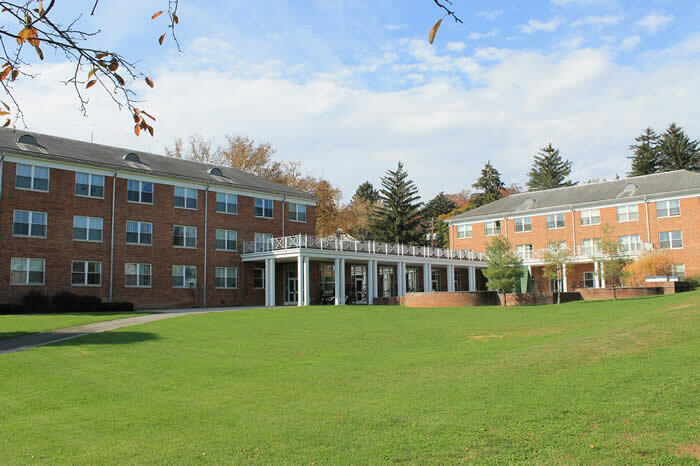 The rooms can be joined to form a quad, and its lawn hosts many campus activities, such as Frisbee and Quidditch tournaments. T&T includes outdoor grills, a kitchen, and a large patio area. 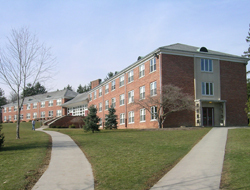 The residence hall is home to the Residential Life Office, as well as the Global Village's Intercultural Floor. Tussey Terrace floor plans are not to scale.